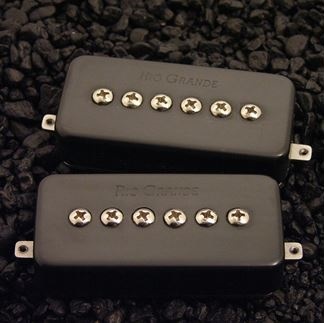 A replacement set for the classic "Mosrite" guitars which were introduced in the 60's by music icon "Semi Moseley". The pickups are of a higher build quality than the originals and have an upgraded tonal response to match. Basically a P-90 family set, they lie somewhere between the originals and our Bluesbar/Jazzbar set. The Neck Position pickup in this set has a narrower string spacing to match the polepieces as the strings taper towards the nut. A replacement set for the classic "Mosrite" guitars which were introduced in the 60's by music icon "Semi Moseley". 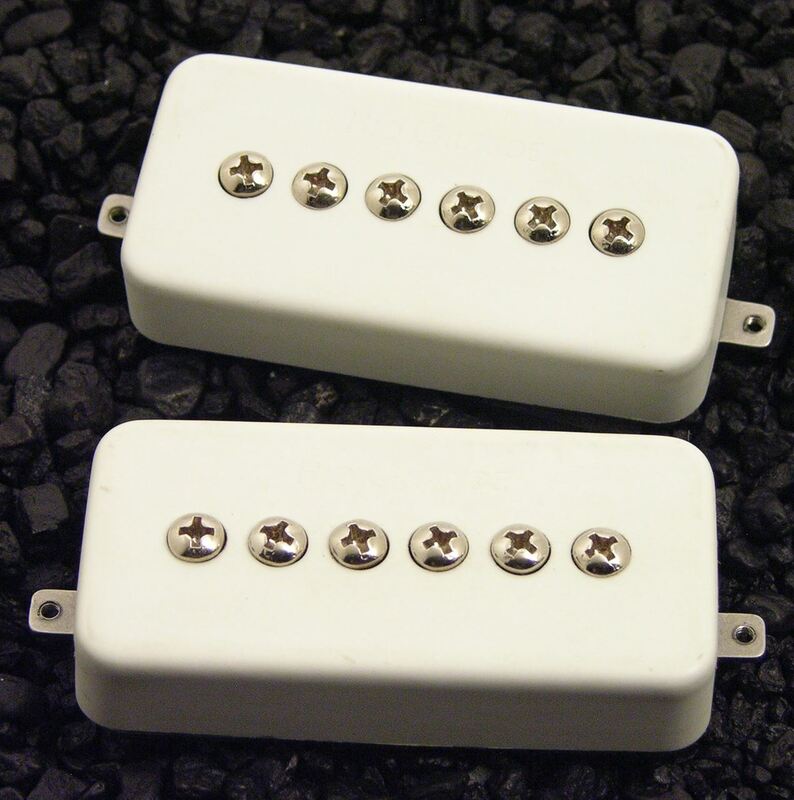 The pickups are of a higher build quality than the originals and have an upgraded tonal response to match. Basically a P-90 family set, they lie somewhere between the originals and our Bluesbar/Jazzbar set. The Neck Position pickup in this set has a narrower string spacing to match the polepieces as the strings taper towards the nut.